Over 300 guests and hundreds of purchasing organisations from across the world came together to represent and promote the ethnic minority business community at the MSDUK 2016 Awards. Overlooking the iconic Tower Bridge, the gala ceremony took place at the Grange Tower Bridge with a global audience who reflected how societies, countries and economies around the world are built by people from different backgrounds, cultures and origins working together. The MSDUK awards honoured and recognised individuals who have shown great passion and belief in ethnic minority businesses by becoming true partners in their success and growth. The awards also celebrated the best of British ethnic minority entrepreneurs who have embraced innovation, achieved consistent growth and are doing this with a responsibility towards society and the environment. Leading the way this year were women and entrepreneurs who started their journey outside Britain’s business capital – in smaller cities such as Bolton and Leicester. 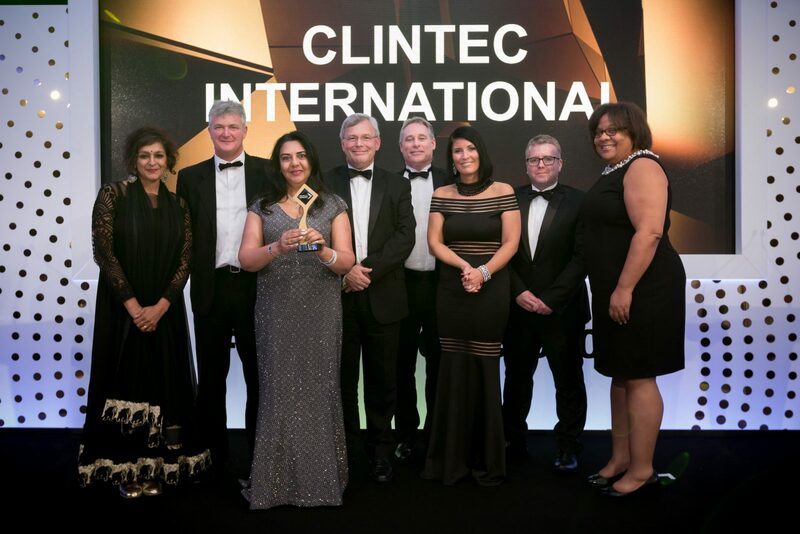 After winning the Ernst & Young Scottish Entrepreneur of the Year (2010) and the Director of the Year for Glasgow and West Scotland (2009) by the Institute of Directors, Dr Rabinder Buttar, CEO of ClinTec International, won the Scale Up Business of the year – showing inspirational growth.